This page contains important information about what information we collect about you and what we do with it. We store and use information to help us do a better job of supporting your relationship with Fleetville Community Centre. You are in control of what data we store and how we use it and can ask us to delete your information at any time. Yes! the Centre knows how important your privacy is to you. 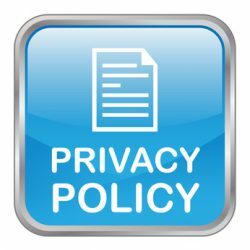 First and foremost, our privacy and data protection policy is aimed at protecting your data and ensuring your privacy. Any data we hold belongs to you, and we will always treat it with the utmost care and consideration. The Centre is committed to complying with the spirit and letter of the law when protecting your privacy and ensuring your data is secure. The Centre holds limited information about anyone who has added themselves to our emailing or mailing list (whether you did that on our website, by post or some other way), or who has opted to become a donor to the Centre. The Centre also holds data on anyone who has expressed an interest in volunteering, served as a trustee or on a committee, ordered anything from the online shop, attended an event where registration was required or who has communicated with us via a form on the Centre website. This data will typically include your name, address (where you have completed a financial transaction), email address, phone number and history of interaction with the Centre, which includes responses to surveys and emails, attendance at events and donations. The Centre does not receive or retain any banking or credit/debit card information, except where payments are made by post or over the phone, in which case all details will be securely destroyed immediately after the payment has been processed. All the information you give us is held on the Centre’s supporter database, which is secure, password protected and which is accessed only by trained staff and volunteers working from the Centre’s own computers. We rely on our legitimate interest as justification for holding and processing this data – in that we’re a user/service focussed charity that needs to know who its supporters, users and volunteers are. We rely on the Centre’s legitimate interest when communicating with the Centre’s supporters by post. As a community organisation we need to be able to write to our supporters and volunteers, to ensure they are aware of news, updates, decisions, general meetings or rights they may wish to exercise as a supporter. However, every time we write to you by post you will be given the opportunity to opt-out of further postal communication. The Centre also holds some ‘special category’ sensitive information such as race, political views, sexual orientation or religious beliefs. This data is collected on the basis of explicit consent (you are under no obligation to provide it, can freely choose to give or not give the data and can request it be deleted at any time). Most special category information is collected solely for the purposes of monitoring the diversity of the Centre’s supporter base, users and volunteers. Most special category information will be stored in an anonymous format, so any such data you provide will not be recorded against your name. The Centre does not sell, share or otherwise pass on your data to third parties for them to use for marketing or other purposes. The Centre will pass your data to another company where we need to use the services of a mailing house, printers, data analyst, website developer or other service provider for the purposes of carrying out our routine work. These companies will change from time to time, so we can’t list their details here. If you’d like to know which companies we send your details to please email info@fleetville.org.uk. We may from time to time use the services of a company to match your data with publicly available information, to allow us to identify individuals who may be in a position to make significant financial or other contributions to the campaign. We rely on legitimate interest as our legal basis for this kind of data processing, in that the Centre is a fundraising organisation that can enhance and improve its fundraising – for the organisation and our supporters/users – through better tailoring of appeals. As with all kinds of uses of your data, you may tell us not to do this at any time. The Centre will retain your data indefinitely unless it is identified as being of no further use (although you have the right to ask us to delete your data at any time – see below). This is so we can retain historical records of supporter levels, donations, patterns and income/financial records. This will help us understand and evaluate our strategies and methods as well as gain an appreciation for the long-term trajectory of the Centre’s position. The indefinite retention of data applies to current supporters, users and volunteers as well as those who have opted out of communications. This means if you unsubscribe from the Centre’s emails we’ll continue to retain your data. This is to allow for proper management of our records and to guard against accidental re-subscribing of email addresses. You have the right to know how we manage your data, what data we collect, why we collect it and how we use it. the Centre is required to provide this information in a concise, transparent, intelligible and easily accessible format. The information must be written in clear and plain language and must be free of charge. This privacy notice is how the Centre informs you of these matters. You have the right to know if we hold or are processing your data. You also have the right to request a copy of all your personal data we hold. You can find out more about this right on the Information Commissioner’s website here… https://ico.org.uk/for-organisations/data-protection-reform/overview-of-the-gdpr/individuals-rights/the-right-of-access/. If you wish to request your data please email info@fleetville.org.uk or write to Fleetville Community Centre, Royal Road, St Albans AL1 4LQ. You have the right to have personal data rectified if it is inaccurate or incomplete. If you think we’re holding information that is incorrect please email info@fleetville.org.ukor write to Fleetville Community Centre, Royal Road, St Albans AL1 4LQ. You have the right to request the Centre deletes all your data and in effect ‘forgets’ you completely. There are some instances in which the Centre is permitted to refuse such a request or partially delete your data, but wherever possible we will endeavour to comply with any such request. To request complete erasure of your data, email info@fleetville.org.uk or write to Fleetville Community Centre, Royal Road, St Albans AL1 4LQ. You have the right to request that we block or ‘suppress’ the processing of your data. This will mean that while the Centre continues to hold your data we will no longer use it in any way. You also have the right to reverse any such request. To request a restriction of processing email info@fleetville.org.ukor write to Fleetville Community Centre, Royal Road, St Albans AL1 4LQ. You have the right to object to the Centre processing your data in certain ways. For instance, you may be happy for the Centre to write to you via the post, but you may ask us to stop sending you emails. To advise us of your preferences, use the methods provided at the time of communication from the Centre, or email info@fleetville.org.ukor write to Fleetville Community Centre, Royal Road, St Albans AL1 4LQ. If your data has been automatically processed and this has produced a significant effect on you, you have the right to “obtain human intervention” (ie ask a member of staff to investigate and review the decision), express your point of view and obtain an explanation of the decision and challenge it. To request a review of an automated decision email info@fleetville.org.ukor write to Fleetville Community Centre, Royal Road, St Albans AL1 4LQ. Yes! The Centre relies on your consent to contact you by email or SMS/text. Once you have given us your consent you have every right to change your mind at any time. Withdrawing consent for the Centre to contact you via email or SMS/text will not stop you from consenting again in the future and will not impact on your rights as a member (if you are a member), except to say that you may miss useful communications that are sent by email. A method of withdrawing your consent should be available whenever you receive an email or text. Or you can email info@fleetville.org.ukor write to Fleetville Community Centre, Royal Road, St Albans AL1 4LQ. Of course. If for any reason you feel the Centre has not respected your rights in relation to the retention or use of your data you have the right to lodge a complaint with the Information Commissioner. You can find their website at ico.org.uk. The Centre would urge you to contact us in the first instance and we will do all we can to satisfy any concerns or demands you have relating to your data. To complain to the Centre email info@fleetville.org.ukor write to Fleetville Community Centre, Royal Road, St Albans AL1 4LQ. The Centre doesn’t currently use automated decision making. The Centre does not routinely access external, third party data to match with the data you’ve provided us, whether for profiling or any other purpose. The Centre is the ‘data controller’ responsible for looking after your information. the Centre is a registered charity (282259). Our registered office is Fleetville Community Centre, Royal Road, St Albans AL1 4LQ. The Centre’s trustees are responsible for ensuring your data is looked after in line with the spirit and letter of the law. The day-to-day responsibility for ensuring compliance with the law and the Centre’s Data Protection Policy, lies with the centre manager, although in the first instance any queries about your data should be sent to info@fleetville.org.uk. The Centre’s manager is Cathie Crowne. Email: info@fleetville.org.uk. Phone: 01727 836843. Address: Fleetville Community Centre, Royal Road, St Albans AL1 4LQ. This policy was last changed on June 24, 2018. This is version 1 (v.1) of this policy.